Actually, Mr. Rude currently personifies both the unstoppable force–as of writing, he leads the Enduro World Series after having been crowned champion in 2015–and the immovable object, with a brutish physique that would look downright comical on a bike if he ever stopped going so fast. This is who the SB5.5c was designed for: one of the most demanding riders in what is arguably today's most technologically demanding race series. That Yeti chose 29-inch wheels for such a machine speaks volumes–not only about the increasingly specialized nature of enduro bikes, but also about the newfound levels of confidence that riders are placing in a wheel size once considered too flexy, too apt to fail, too XC for aggressive riding. Yeti didn't herald the new golden age of capable 29ers, but this 140-millimeter-travel bike puts the Colorado brand on the ragged edge of contemporary design. Cable routing is internal on the 5.5c, but getting the housing through the frame isn’t the easiest task. The 5.5c isn't alone: in fact, it's a bit late to what remains a pretty sparsely attended party that Specialized's Enduro 29 kicked off in 2013. 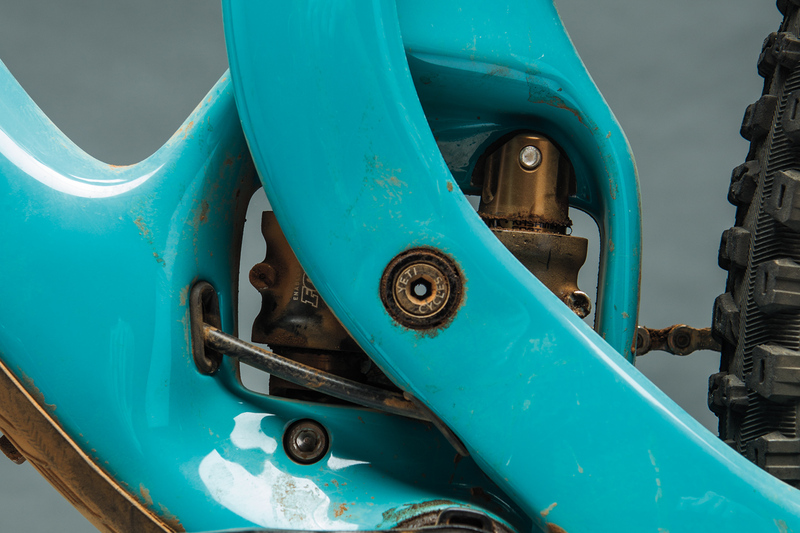 That's when the 650b craze began in earnest, which redirected brands'–and buyers'–attention to the low-hanging and preeminently marketable fruit of all-mountain bikes with Goldilocks-sized wheels. Then plus-size came along, and once again, long-travel 29ers seemed to be on the backburner. Here's hoping that someone just clicked the pilot and set the flame on high, because these bikes are some of the most capable machines available. With a head angle of 66.5 degrees and a 160-millimeter fork, the SB5.5c certainly looks the part. It's not a stature that appears especially capable of ascending, and indeed it doesn't climb with the urgency of an XC whippet, or even the convincing efficiency of a lightweight trail bike. The SB5.5c feels like the all-mountain machine it is when going uphill, with slightly slow steering and a tendency to feel a touch floppy when scaling really steep pitches. Its saving grace is rear suspension with excellent efficiency and traction under power. Keep laying down the pedal strokes, stay balanced and mindful of where the front end is going, and the big bike will trend upwards as quickly as 'The Donald's' latest inflammation. The Switch Infinity system is at least partially to thank here. Though it may look like a second shock, the system is actually a carrier on rails that Yeti calls a 'translating pivot.' As the rear wheel moves through its travel, the carrier slides upwards, creating a rearward axle path and increasing chain tension, which combats squat. Deeper into the travel, the carrier changes direction, reducing chain tension and contributing to the bike's controlled, bottomless feel. Yeti’s Switch Infinity system delivers good pedaling performance without sacrificing much in the way of suppleness. The last time I went to ride this bike, I got a speeding ticket. Not on the trail–I'm thankful to live hundreds of miles south of Marin–but in my car, on the road, headed to a ride that I knew would be perfectly suited to the bellicose turquoise terror. This ride, I thought, would be predominantly downhill, since I'd been told that we were shuttling. It still turned out to be a monster of a 20-mile day, with a slog up a deeply rutted wash, which turned into a hike-a-bike, which eventually turned into a raucous descent through loose, rocky high desert. The trail was as much gnarly, motorcycle-eroded doubletrack as it was purpose-built singletrack, and I was riding with absolute confidence. I guess a 47.5-inch wheelbase, 29-inch wheels and a veritable gob of front suspension will do that. Even on slower trails, the SB5.5c goes fast. This is a bike that's fabulously stable, able to maintain speed and composure through awkward, chunky terrain, and is perfectly content being stuffed into a corner afterwards. Perhaps it isn't the most 'flickable,' or the easiest to manual, but none of that matters much if you get this bike into rugged, raw, stomach-shriveling stuff, where it will attack with the long-legged confidence of a rabid Great Dane. There's no bottle cage inside the front triangle, but mounts on the underside of the downtube give you the choice of either a storage unit or a chance at Giardia. 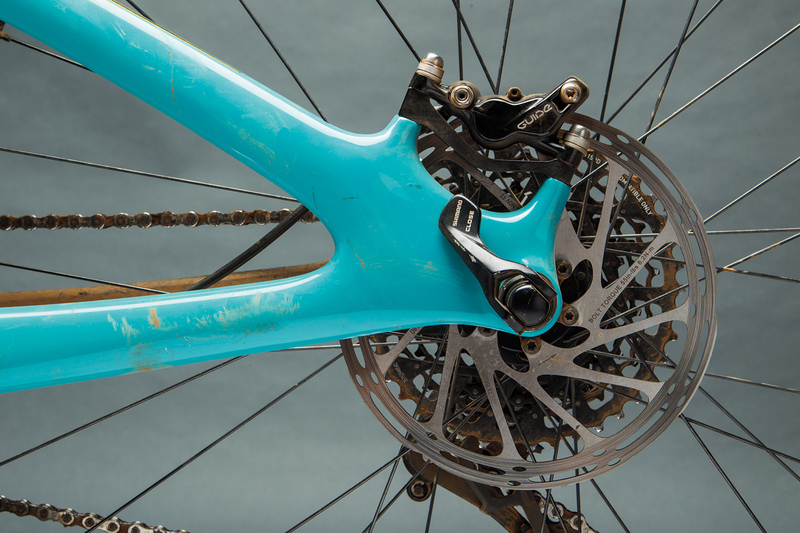 There's also no option to mount a front derailleur, but c'mon–you weren't going to do that, were you? Both ends of the SB5.5c feature Boost spacing. 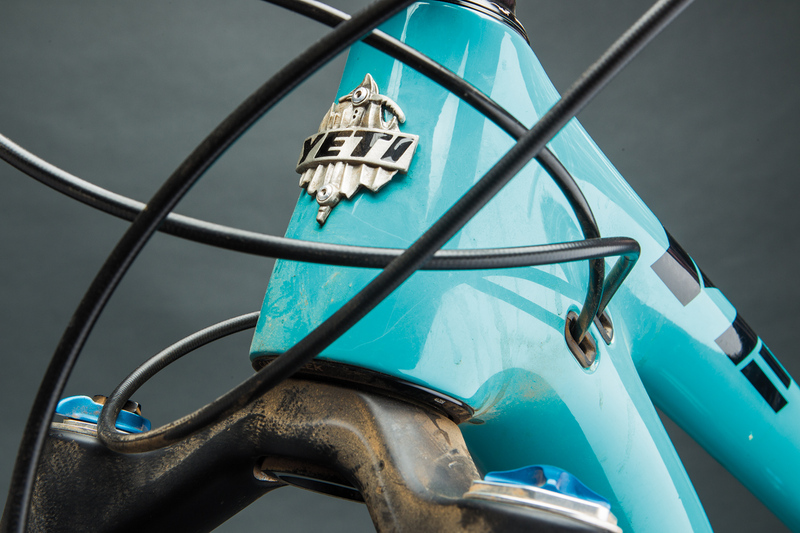 Our 31-pound size large (including flat pedals) came with Yeti's X01-level build, which puts the price at $7,000–an untenable cost for many buyers. It is a good build kit, though, with SRAM X01 drivetrain components, a Fox Float X Factory shock and 36 Fork, SRAM Guide RSC brakes and burly Maxxis rubber–including a 2.5-inch Minion DHF up front. The tires are mounted to DT Swiss XM481 hoops, which remained true and lent ample support with their 30-mil internal width. Both ends of the bike are, of course, spaced to the Boost standards. I can't say I noticed the additional stiffness, but you know who will?